If you’re on the October Unprocessed journey for the first time, you’re probably doing a lot more label reading than you used to. And if you’re reading a Nutella label for the first time, you might be coming to some terms of hard reckoning with what you’re seeing. Trust me, I understand why we all love Nutella. I’m a self-proclaimed junk food anthropologist and I’m not ashamed to admit that I swipe fingerfuls of Nutella from time to time (because really, is there any other way?). Nutella might be dopamine in a jar, but there are more natural ways to get that high than by scooping up sugary flavored palm oil. Namely, by grinding actual hazelnuts, maple syrup, and cocoa powder into your own version of heavenly, rich, nutty chocolate bliss. Nutella is a one-night stand; homemade Nutella is marriage material. And, as with any long-term relationship, what you get out of it is dependent on what you put into it. The process is the same as for any other homemade nut butter: grind, grind, grind, until you release the nut’s natural oils and turn its treasure trove of good fats into something spreadably indulgent. 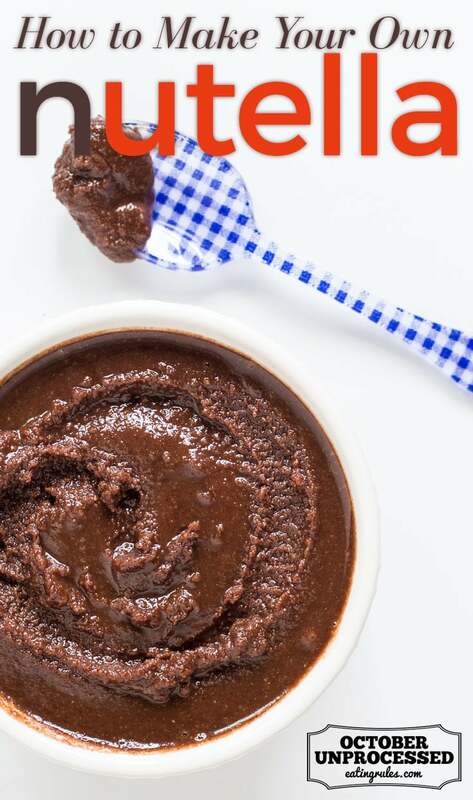 Combined with unsweetened cocoa powder and a few drizzles of maple syrup, it’s a much less guilt-ridden way to get your Nutella fix. And it’s also highly customizable: Want to make a Mexican hot chocolate version? Add a little chipotle powder and cinnamon to your blend. Looking for something with more nutty umami? Try sesame seeds (or a scoop of tahini if it’s already in your fridge). Love the combo of chocolate and orange? Try adding fresh orange zest along with the cocoa powder and maple syrup. 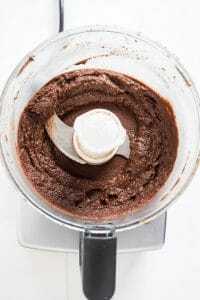 While you can certainly make homemade Nutella or any other nut butter in your fancy Vitamix or high-powered blender, I typically use my regular food processor for the task. I like my nut butters on the chunky/crunchy side, and find that I can control the consistency a little more finely in the food processor. Note: If you manage to find pre-skinned hazelnuts (also labeled as blanched hazelnuts), hooray! You can toast them as noted in the recipe below, but they will toast more quickly than those with skins still on, so keep a close eye on them. But pre-skinned hazelnuts usually cost more because of the labor involved, and hazelnuts are pretty pricey already, so just decide what it’s worth to you. Me, I don’t mind a little extra kitchen prep to save a few bucks. 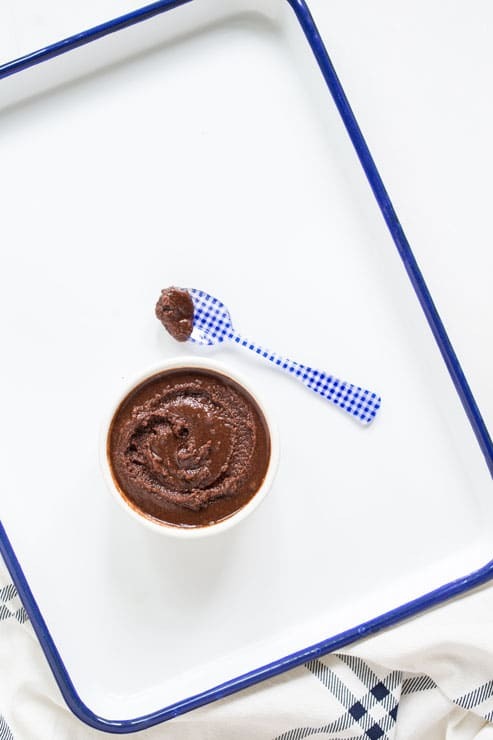 The process for homemade Nutella is the same as for any other homemade nut butter: grind, grind, grind, until you release the nut's natural oils and turn its treasure trove of good fats into something spreadably indulgent. 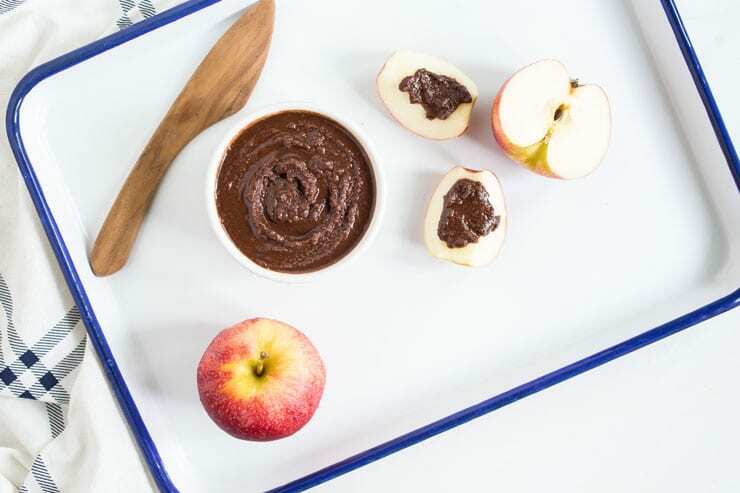 Combined with unsweetened cocoa powder and a few drizzles of maple syrup, it's a much less guilt-ridden way to get your Nutella fix. Spread the hazelnuts in a single layer on a rimmed baking sheet. Toast for 10-15 minutes, until the hazelnut skins start to crack and flake. Remove from the oven and cool until you can easily handle the hazelnuts without burning your hands. 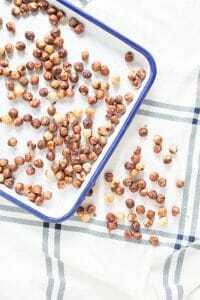 Place a handful of hazelnuts on a non-terry kitchen towel and loosely fold the towel over them. Rub the hazelnuts in the towel to dislodge the skins. Not every bit will come off, and that's fine. Though the hazelnut skin is slightly bitter and can impart its papery texture to the finished product, you don't need to spend hours picking at every last stubborn flake with your fingernails. Do the best you can do and move on. 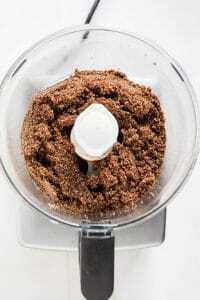 Place the skinned hazelnuts in a food processor fitted with the S-blade attachment or a high-powered blender. 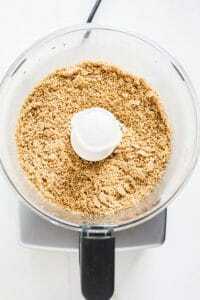 Grind the hazelnuts until they are reduced to a fine powder. Scrape down the sides of the bowl and add the maple syrup, cocoa powder, and salt. Continue to grind, stopping frequently to scrape down the sides of the bowl. This is an exercise in patience, and don't lose faith! Based on the freshness/oiliness of your particular batch of hazelnuts and the horsepower of your food processor or blender, this process can take up to 10 minutes. If you notice your equipment starting to overheat, stop and let the motor cool down before continuing. 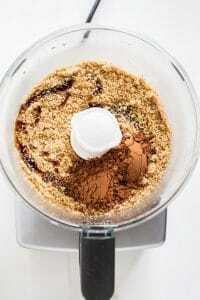 Even my Magimix food processor can heat up in the course of making a batch of Nutella. But just when you're ready to give up and throw your spatula across the room, the ground hazelnuts will coalesce into a more liquidy, buttery texture. You'll see the mixture start to clump and eventually start chugging around the bowl in a stream. Scrape the nut butter into a mason jar or other lidded container. It will keep in the refrigerator for up to 1 month. Casey Barber is a nationally recognized food writer and photographer, author of the cookbooks Classic Snacks Made from Scratch: 70 Homemade Versions of Your Favorite Brand-Name Treats and Pierogi Love: New Takes on an Old-World Comfort Food, editor of the website Good. Food. Stories. and founder of The Casey BarberSHOP, an online shop for pop culture-inspired gifts. You can also find Casey on Twitter, Facebook, and Instagram.